Chicago filed a lawsuit against Jussie Smollett on Thursday in a bid recoup the costs of investigating a racist, anti-gay attack that authorities say was orchestrated by the actor as a publicity stunt. The civil lawsuit, filed in Cook County court, is the latest volley in a legal battle that shows no signs of abating since Smollett, who plays a gay R&B singer on the Fox TV series Empire, reported that masked men beat him up on Jan. 29 in Chicago, shouting slurs and wrapping a rope around his neck. The city’s resolve to take Smollett to civil court follows a surprising decision by prosecutors in March to drop all criminal charges accusing him of staging the attack, saying they believed they could prove the charges but that it wasn’t worth the time and expense. The suit comes after Smollett refused a demand that he send the city $130,106 US to reimburse Chicago for overtime as police sought to verify Smollett’s account, included that his attackers yelled slogans supportive of U.S. President Donald Trump. The lawsuit doesn’t include a specific monetary figure but suggests the amount the city will seek from Smollett will be higher than the $130,000. Smollett, who is black and gay, is known for his role as a gay R&B singer on the Fox TV series Empire. The producers of the show removed the actor from the last two episodes of this season in the wake of the controversy over the alleged attack. The actor maintains he has told the truth from the beginning. 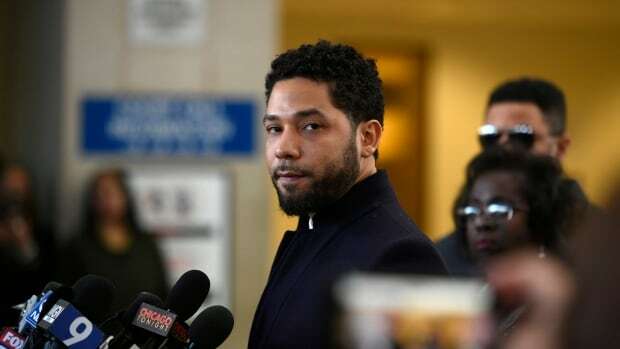 A message left for a spokesperson for Smollett’s legal team wasn’t immediately returned Thursday evening. Under the city code, Chicago could triple the amount the city originally demanded that Smollett pay to more than $390,000 US. If Smollett refuses to pay after a verdict in the city’s favour, his bank accounts could be frozen. Smollett admitted no wrongdoing but agreed to do some community service before charges were dropped. The actor also agreed to forfeit $10,000 US in bond money, which the city could use against him in the civil case as an implied admission of guilt. It’s also unclear if mayor-elect Lori Lightfoot is on board with the Emanuel administration’s determination to keep legal pressure on Smollett. Lightfoot, a former federal prosecutor who will be Chicago’s first black female mayor when she’s sworn in on May 20, has indicated only that the public deserves a better explanation for why the criminal charges against Smollett were dropped.